What is the proper course of action for finish surface lining installation (ceramic tiles, granite, marble, other) on walls, floors or other surfaces? First off, check and correct the substrate level or, (if necessary), create the appropriate pitch on the surface. 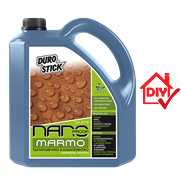 Continue by making sure the application surface is clean, stable (remove all loose section, as needed) and watertight. Make the substrate watertight by priming and/or waterproofing it. Once the substrate is watertight and dry, continue to the next step by applying the adhesive onto the surface and install the lining tiles. Allow for the installation to thoroughly dry and proceed to the next step by grouting the lining (grout) joints. At this point, it is necessary to create expansion joints around the perimeter of the lining and on every 16-20m2 of the lined surface. Depending on the grouting product used, it may be necessary to waterproof the grouting material (cementitious grouts). 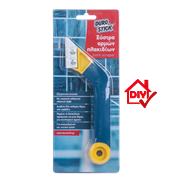 If necessary, waterproof the entire tiled surface at the same time as well. Complete the installation by sealing with specific purpose sealants all the breakpoints through the lining (railing bases etc.). Why should I stabilize and waterproof the substrate of the lining? 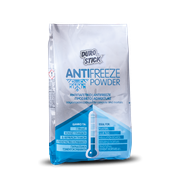 The stabilization of the substrate ensures the stability of the application and maintains its longevity without problems or failures. The waterproofing of the substrate prevents the penetration of moisture in it, which causes damage, failure of the adhesive (detachment of lining tiles), disintegration, mold creation and black spots on the opposite side of the substrate (wall, ceiling). How can I choose the appropriate adhesive product? Usually, the cost of the adhesive product is only a small fraction of the total cost of the lining installation (tiles, labor costs, etc.). It does, however, function as a safety valve for the proper function of the lining for a long time. Please, keep in mind when choosing the adhesive product for your project that it is always a good idea to choose a high quality adhesive (C2TE S1 and S2). 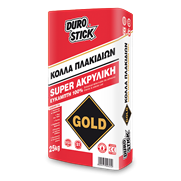 DUROSTICK GOLD, EXTRA POWER and ELASTIC, just to name a few. In any case, a number of factors must be weighed when choosing. Factors such as whether the installation is indoors or out, the weight and dimensions of the lining elements (length x width and thickness/height of the elements), the height of the lining above ground (there is legislation for marble and granite facade installation that determines their installation standard that must be followed), the exposure of the lining to water (fountains, swimming pools) or humidity (bathrooms, kitchens). Therefore, depending on the project, choose the adhesive product that meets the requirements and specifications of each and every lining installation. 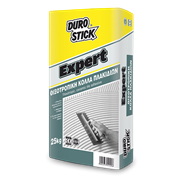 If you have any doubt or reservation about the correct choice of adhesive product(s), call the Technical Support Team of DUROSTICK. Remember that cheap materials always do expensive damage. What grouting product should I use? There are different types of grouting product available at your disposal, in a variety of both colors and materials as well. The most common product used today is the cementitious type. 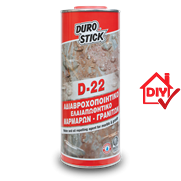 There are other types of grouting products, such as epoxy grouts (DUROSTICK EPOXY), but also specialty products (FLEXIBLE & OIL REPELLENT GROUT of DUROSTICK, DS-POLYMER available in 32 colors). 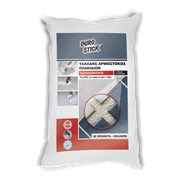 Choose the grouting product depending on the conditions of the lining installation site(s) as well as the weather and environmental factors that affect the installation site(s). 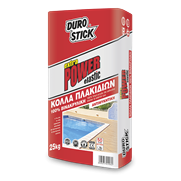 For example, epoxy grout is ideal for bathrooms, pools or places that must maintain strict hygiene conditions. 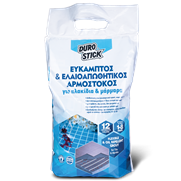 The FLEXIBLE & OIL REPELLENT GROUT is ideal for environments and sites affected by intense and sudden temperature changes and therefore intense expansions and contractions. It is also necessary for linings installed with flexible/deformable adhesives (S1 & S2), so as to work as a system with those adhesives. Cementitious grouts are products used most often and they are usually available in a variety of colors, suitable for most application widths. For stone linings use specialized grouts, such as DUROSTICK D-4, for natural stone and slabs. Why should I waterproof my grouting joints or even my entire lining? 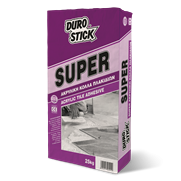 To protect both of them (grout-lining) from moisture penetration in them and subsequently into the substrates. Moisture penetration leads to mold and mildew growth, disintegration, loss of bonding strength of the adhesion product (resulting in detachments of investment elements), staining and discoloration of the grout joints and/or of the lining. 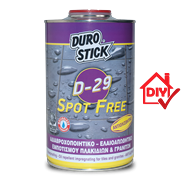 Certain waterproofing agents, such as D-29 SPOT FREE of DUROSTICK, yield nonslip properties to linings as well as just waterproof them. 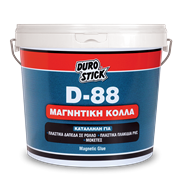 Waterproof grout joints using DUROSTICK D-16 and waterproof the entire lining using D-29 SPOT FREE or NANO PROOF MARMO DS-275 of DUROSTICK. What are expansion joints? Are they necessary? Generally speaking, an expansion joint is a joint between two sections of a single, or multiple structures. This specific joint allows for the expansion and contraction of the structure(s) thereof may occur due to temperature changes (increase or decrease), without causing structure, or even structural damage. In particular, and when talking about linings made of tiles, marble, granite, etc., expansion joints, must necessarily be created on the perimeter, at every junction with other construction elements (walls, parapets, etc. 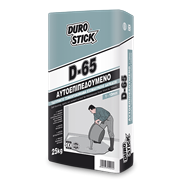 ), and on every 16-25m2 (outdoors linings mostly) of surface, to prevent weathering and cracking of joints, lining element detachments and deterioration in general. In the event that the substrate of the lining is traversed by expansion joints (e.g. building expansion joint), then the new lining expansion joints must necessarily follow (created over) those of the substrate. Fill the expansion joints using specialized products for the task, products such as DUROFLEX-PU, DS-POLYMER. How can I clean the construction residues generated during the installation and grouting of the new lining surface(s)? The proper way of cleaning all installation and grouting residues is to clean them while they are still fresh, during the installation and the grouting of that lining. 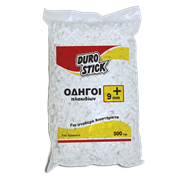 Residues can also be removed by using special purpose cleaners, at the appropriate time frame and a specific manner, always as described in their individual packaging. 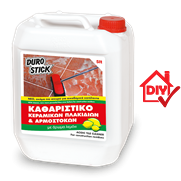 Cleaners such as ACID TILE CLEANER of DUROSTICK, BIOCLEAN EPOXY GROUT CLEANER, and D-7 NATURAL STONE CLEANER. In some cases, it might be necessary to use mechanical means (scraper, putty knife etc.) 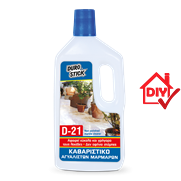 to remove residues and debris. If that is the case, always use extreme caution to prevent damaging the finish surface. 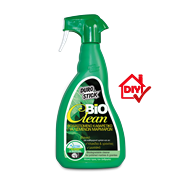 Complete the cleaning process using mild detergent (BIOCLEAN series) to ensure perfectly clean surfaces. What should or can I do when my lining joints are stained, discolored or even deteriorated? First of all, carefully examine the condition of the joints and assess the situation. If you notice that the weathering or the cracking of the joint(s) is at an advanced stage, you must decide for their repair and/or replacement. 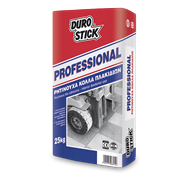 The ideal product for this project is the FLEXIBLE & OIL REPELLENT GROUT of DUROSTICK. Obviously, you can also use any other grout of choice. If the joint damage is not that extended, you should follow the next few steps. Carefully clean the joints using mild cleaners once, or as many times as needed, always depending on the degree of staining and/or the discoloration. 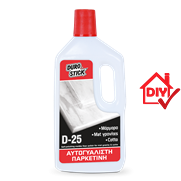 For tougher stains, use the ACID TILE CLEANER of DUROSTICK. 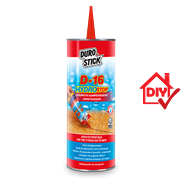 Continuing, and to prevent the recurrence of the problem, waterproof all the joints using the special purpose siloxane based waterproofing agent, D-16 HYDROSTOP. 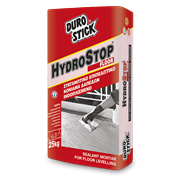 Alternatively, waterproof the entire lining surface using the special purpose waterproofing and anti slip agent, D-29 SPOT FREE of DUROSTICK. What should I do if a lining element (e.g. tile) was detached, cracked or broken? Carefully remove the grout material around the detached, cracked or broken tile, so as to not damage the adjacent tiles of the lining itself during the removal of the defective piece. Wherever possible, remove the existing adhesive from the substrate. Continue, by thoroughly clean the area and remove all loose parts, dust, and foreign materials. 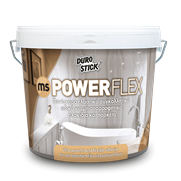 Apply the right amount of glue (the appropriate adhesive for the type of tile you are installing) on the substrate, and if need be, coat the back side of the replacement tile as well. Carefully install the replacement tile and make sure that it is installed at the same height and level with the rest of the tiles. 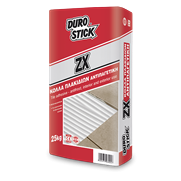 NOTE: If after removing the cracked, broken or detached tile, you are not able to remove a part or the entire amount of the adhesive remnants, install the new tile using DUROSTICK No. 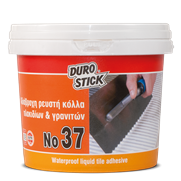 37, the waterproof liquid adhesive for tiles. Once the adhesive is dry, complete the repair by grouting all the open joints. 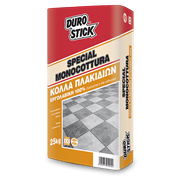 It is always advisable to grout using a grouting product with similar or better specifications than the existing one (the grouting product that was originally used for the lining). If I want to renovate my existing finished surface(s), can I install a new one right over the preexisting one(s)? First off, thoroughly check for any repairs that the existing surface(s) might require. 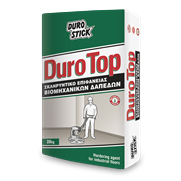 Inspect all the breakpoints as well as all the joints of the existing finish surface with doors, windows or any other contact point. Once the stability of the existing surface has been verified, then you can proceed with the installation of the new finish surface over the existing one. To achieve a new installation without any concerns, the adhesive product used must be one of high quality (C2TE and above) and flexibility (S1 or S2). 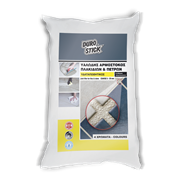 When choosing an increased quality and specification adhesive product, it is highly recommended to use a flexible grouting product, such as the FLEXIBLE & OIL REPELLENT GROUT of DUROSTICK. It is absolutely necessary to create new expansion joints following the existing ones from the previous finish surface. If there are no expansion joints on the existing surface, it is highly advisable to create them on the new finish surface. What should I do if there is moisture or water (water leak or otherwise) behind/under my finish surface lining? What you should focus your attention on, when trying to identify the root of a problem, is a detached tile or mold and black spot creation on the opposite side of the wall, the slab or in an adjoining area. The first thing you must inspect for is a plumbing or sewer system leak. Check for deteriorated grout joints on finish surface linings and failing breakpoint seals (around railing posts, frames etc.). Repair or replace, as needed. Then examine the extent of the problem. A tested way to do this is by removing tiles in the opposite corners of the lining (usually) to check for the presence of moisture in the substrate(s). Do not replace the tiles for some time (maybe even for a month, depending on the location of the problem - indoors or out- the temperatures at that time, etc.). Those open points act as vents and allow for the moisture to evaporate from the substrate. Once the substrate looks and feels dry, remove one to two additional tiles further away from the original problem area to find out if all the moisture has been removed from the substrate. When you see the problem finally resolved, proceed with the installation of the replacement tiles on the lining and the waterproofing of the joints (preferably all of the joints). What should I do at the lining breakpoints (railing and pergola posts, mounting brackets etc.) and why? All the lining breakpoints (usually mounts of various objects and railing posts) at some point work as passageways to moisture and/or rain water. All those breakpoints must necessarily be sealed with special purpose flexible sealants (DUROFLEX PU, DS-POLYMER, DUROWOOD DS-POLYMER of DUROSTICK), to prevent water and moisture penetration into the substrates of the lining and the damage those penetrations will eventually cause to adjacent sections of the substrate. 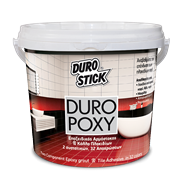 Is there any information available from DUROSTICK in print, digital or any other form that I can find details relating to tile and grout questions, installations, as well as problem solving? DUROSTICK has created and continues to create technical, informational and educational materials for a variety of solutions and applications that go hand-in-hand with its products. 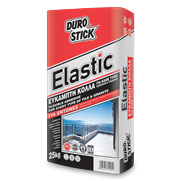 DUROSTICK has the solution for every construction, maintenance, repair, renovation, decoration and beautification need of your house or your space in general. 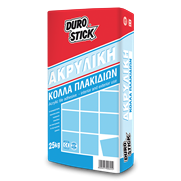 All this material is available at your fingertips in print and digital form at our points of sale, directly by the company and on our websites www.durostick.gr and www.yparxeilysi.gr. We create technical and informational leaflets, filmed applications, real life application samples (available at the points of sale, at expos and events), so you can actually touch, see and feel the end result. Obviously, the company's Technical Support Team via the telephone, The Internet and, in some cases, with on-site visitation if and when needed, is at your disposal. They will inform you and get you familiar with whatever you are trying to do, they will assist you and solve all your questions and direct you to the appropriate solutions that apply to your individual needs, they will definitely put your mind at ease.